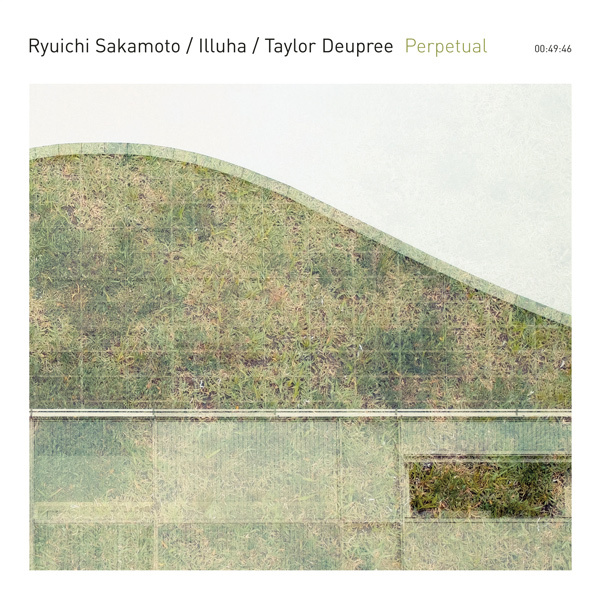 In the wet heat of a Japanese summer, legendary musician Ryuichi Sakamoto was joined on stage by Taylor Deupree and the duo of Corey Fuller and Tomoyoshi Date, known as Illuha. The Yamaguchi Center for Arts and Media hosted the event as part of their 10 year anniversary which also included a captivating installation by Sakamoto called Forest Symphony. The days surrounding the concert brought the artists together for food, talk and exploration. Informal but meaningful moods that prepared them for performing together. The performance, an improvised set for piano, guitar, pump organ, and synthesizers, ended up affecting the artists in a deep way. The four, having never played all together before, were taken aback by the level of listening and restraint that flowed between them. The audience sat in a breathless silence, the music offering a respite from the thick July air. As the last hushed note faded into blackness the artists knew right away it had been a deep journey. It is a fortunate event when a moment like this is captured, as this concert was ( recorded in high quality DSD). Perpetual, named for the eternal and ageless quality of the music, is presented in three movements that traverse from soft layers of synthesizer and processed guitar, to open, airy sections of prepared piano and silence, to finally coming to rest in a most hauntingly delicate lullaby of lonely piano, crackling found objects and field recordings and tones suspended like mists. Perpetual not only surrounds us and stretches through time but collects that expanse into a single memory, a record of a brief moment where time stood still and four musicians merged into one.